Want to Unionise Your Workplace? Had enough of your boss pushing you and your coworkers around? Feel like you should be treated with dignity and respect, but instead you’re getting on-call shifts or shorted on your pay cheque? Tired of being harrassed by customers and told to put up with it? One of the best ways to make longlasting and secure changes to your workplace is to unionise your place of employment. Most employers would rather not have their employees represented by a union because it takes power away from them to make arbitrary or unfair decisions. But the choice is not theirs and your employer cannot interfere with your decision to join a union. Get in touch with us if you, or your coworkers are interested in unionising your workplace. Folks from the Retail Action Network can answer your initial questions, and help you through the first steps of organising your workplace. 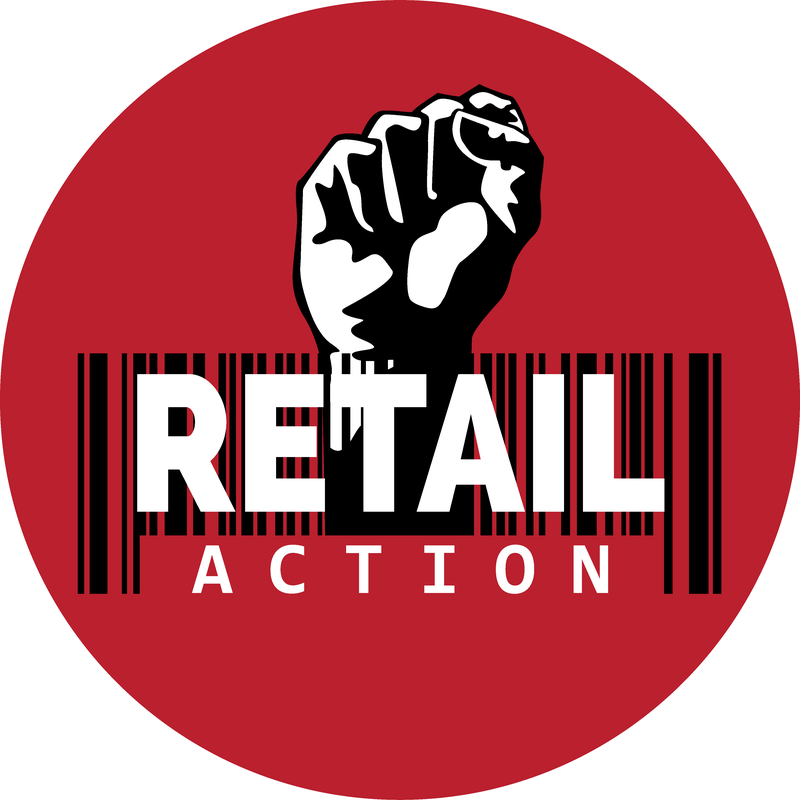 The Retail Action Network is not a union, but we will offer community support and can connect you with a union organiser. We work closely with UFCW Local 1518 on any calls related to retail, hospitality, or food service workers. Setting up an Organizing Committee made up of your coworkers, community gorups, and union support is key to a successful union drive at your workplace. A usual campaign can take 6 months from start to finish, but can be longer or shorter, depending on a number of factors. The Organizing Committee will help steer the campaign and will meet reguarly during the union drive. Everyone on this committee should know and trust one another. With the guidance of your Organizing Committee, you and your co-workers sign union cards). When at least 45% of the employees in your workplace have signed a union card, we can apply to the B.C. Labour Relations Board for certification. Your employer will never see who has signed these cards. Ten days after you have submitted the union cards, the Labour Board will hold a secret ballot vote of all the employees. The vote will likely take place at your workplace. If a majority votes YES, you and your workers will now have a union as your legal bargaining agent. Your employer and your barganing committee sit down to negotiate a collective agreement. This agreement – the union contract – sets out the wages, benefits, working conditions, job security and other rights of the workers. No decision will be made, or contract signed, without the support of your coworkers.